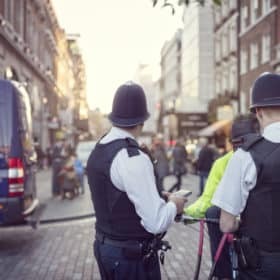 Relatively new, the Police Detective Constable Direct Entry Programme is being adopted by more and more police constabularies around the country. Police services such as the MET and Sullfolk police already have rigorous selection processes in place. Our training is designed to work with you personally, provide the training you need to fully prepare, and pass on the MUST-HAVE knowledge you need in order pass the police detective constable direct entry recruitment process. 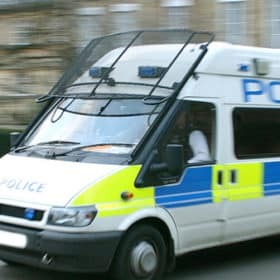 Police services such as London’s Metropolitan Police now recruit detective constables through their direct entry programme. This selection process contains an application form, sifting tests (verbal reasoning online tests), and then two days of assessment centres – one based on the national police constable “day 1” and another, new and dedicated, detective constable assessment centre. You are then required to undertake a medical and fitness assessment (multi-stage bleep test). To become a police detective constable through a direct entry route, you will have to go through a tough recruitment process. The application form is similar to the standard police constable application form, however, it will likely contain 4 competency-based questions (detailed in our course). This test is designed to sift out candidates who the police force believe will not be suited to become a detective constable. If successful at the application and in the online verbal reasoning test, you will be invited to attend the national police constable assessment centre. Here you will need to pass a competency-based interview (4 questions testing 6 core competencies), interactive role plays (also known as interactive exercises) and written tests (maths, verbal reasoning and incident report form written exercises). Inspector briefing presentation (you will have to present to your “inspector” and explain who you plan on resolving each task you ranked in the In-Tray exercise. At the medical, your fitness will be assessed alongside a standard police medical (eyesight, DNA etc.) and a bleep test. The selection process is relatively new for the direct entry route and may vary slighty from force to force. It is quite standard, however, for ALL candidates to attend the standard police constable assessment centre during the selection process BEFORE they attend the specific DC (Detective Constable) assessment centre. This means you will need to prepare for TWO assessment centres and therefore TWO sets of competencies. You can view our blog to learn more about the standard police constable core competencies. The Detective Constable core competencies are different. The first competency on the list is emotional awareness. Emotional awareness is extremely important for Detective Constables, and indeed for any police employee. As a member of the police force, it’s crucial that you can learn to understand the needs and feelings of your colleagues, and your own emotions. Part of doing this is your ability to listen to others, making a genuine attempt to empathise with them and appreciate their viewpoint. Emotional awareness also means that you are able to control your own emotions when under stress. It’s important that police officers can remain calm under pressure, as this will impact upon your decision making, and your conduct. Communicating with colleagues in a calm, polite and respectful fashion is vital to your ability to do the job. Empathise with their colleagues, taking into account the views of others when making decisions. Understand and appreciate the reasoning behind other people’s views and opinions. Manage their own emotions when under pressure. Promote the benefits and value of diversity. See situations from a variety of different perspectives. Positive drive is all about being the change that you want to see. It’s about being a force for positive development within the police, and motivating others to improve their own working practice. You must take a positive and enthusiastic attitude to your work, keeping other colleague’s spirits up. As a leader, you must be decisive and proactive, showing a confident and assertive attitude. It’s extremely important that every single employee of the police is capable of adapting to new working methods, and constantly improving. Criminals are becoming more and more intelligent in their attempts to evade the law. The use of modern technology has aided criminals in this regard, but it can also aid the police. Using the most up-to-date methods, you will be responsible for tracking down and detaining criminals. 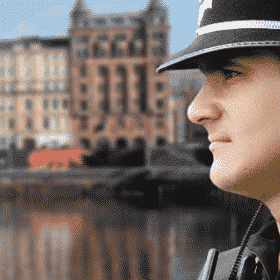 As a Detective Constable, you will be placed in a leadership position within the police force. This means that it is your responsibility to motivate the members of your policing team, and to encourage them to improve and perform the best possible police work at all times. Along with motivating others, it’s also important that you have the drive to succeed The police are looking for individuals who are driven by the idea of perfection, working to the highest possible standards, and safeguarding the public. Understand the need for constant improvement when working in the police. Motivate and manage others to improve their own working practice. Exercise self-management techniques, to get the most out of themselves. Understand their own limitations, and identify areas for self-improvement. Give 100% of their effort to the police work, on every single shift. Believe wholeheartedly in the values and priorities of the police. Resilience is an extremely important quality for Detective Constables to have. Working in the police is an exciting and hugely rewarding career, but it is also extremely challenging and can push you to your limits. In order to succeed, you’ll need to be a resilient person. You must be able to face challenges and hardships with an open mind and a calm approach. Obviously, the police do not expect you to be a robot – they know that their employees are human beings and that some of the things you’ll experience when working will have an emotional impact. However, it’s imperative that the police know you can handle this. They don’t want to hire someone, only to have them drop out a few weeks later because they can’t deal with the difficult aspects of the role. So, with this in mind, it’s important that you are resilient. Being resilient doesn’t just apply to the more difficult elements of the role. It’s not just about being able to handle hardships, but it also relates to how persistent you are as a whole. 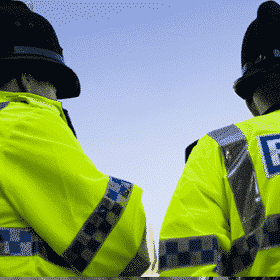 If you are a Detective Constable, then you will be placed in a leadership role. You must be able to cope under pressure, taking decisions for the good of the team, and not folding in the face of disagreement. Also remember that there is a fine line between being resilient and being stubborn. If you want to be a successful Detective Constable, then you’ll need to find the right balance. Maintain a positive mindset, even when faced with hardships and difficulties. Deal with pressure in a calm and logical fashion. Provide leadership and motivation for their colleagues and teammates. Remain determined and committed to great police work, even in the face of difficulty. Teamwork is extremely important when working in the police. Your ability to work in synchronisation with your colleagues, to create an effective and organised policing unit, will be paramount to the success of the force. The better police staff can work together, the stronger the level of care that you can provide to the public. Policing is not a one-person job. It takes the combined efforts of the entirety of the police to fight crime successfully. As a Detective Constable, you will need to call on the help of many other specialists working within the police, and in outside agencies, so it’s essential that your teamworking skills are top notch. You’ll also be a leader, required to manage teams, so it’s vital that you have an understanding of how to work with others. Develop good professional and personal relationships with colleagues. Participate in group activities and team-based exercises, playing an important role in these endeavours. Take the views and opinions of others into account, and is prepared to discuss the views of others in a polite and amicable fashion. Utilise an open, honest and supportive approach when assisting other colleagues. Accept that not all tasks need to be completed solo, and ask for help when appropriate. Communication is incredibly important when working in the police, and therefore it is essential that candidates for Direct Entry can demonstrate an ability to put across their ideas in a clear and concise manner, in both written form and verbal. Working in the police will put you in contact with a wide variety of people, from different backgrounds, and therefore it’s vital that you can communicate effectively. Not only will you utilise your communication skills when dealing with members of the public, and with your own team, but you will also need to communicate with different members of the law enforcement team, and professionals from outside of the police – such as social workers or lawyers. You may also be asked to appear in court, where you will need to communicate verbally. Alternatively, your written reports could be used in court as evidence. These are just some of the many reasons that communication is essential for Detective Constables. Communicate effectively, in writing and verbally. Identify when it is appropriate to use certain styles of communication and language. Adapt their communication according to the individual(s) being addressed. Use grammar, spelling and punctuation effectively and correctly. Listen carefully when they are being spoken to, taking note of essential information. Influence the behaviour of others, in a positive way, using good communication. As a Detective Constable, it’s imperative that you can take a professional approach to your work. The police are role models in society. They need to set an example, and this is especially true for high ranking officers – such as Detective Constables. 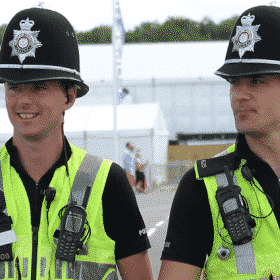 The public look to the police for guidance and reassurance, and you can only provide this to them, and build up a level of trust, by acting with the utmost professionalism. You might be familiar with the term integrity. A Detective Constable with integrity is someone who can act with decency, honesty and kindness, whilst still upholding the values and beliefs of the police service. Your professional standards are incredibly important, and you must be able to uphold these. Taking a professional approach isn’t just limited to being a decent and professional person. It also means that you take a professional approach to everyday tasks too. It means giving 100% to every single task, dedicating yourself to police work, and working hard to ensure that you stay in top physical condition. Act with integrity at all times, both when working and when off duty. Uphold the police professional standards. Behave in a way that is fitting of a Detective Constable, showing honesty and decency. Be held up as an exemplary role model for how officers and members of the public should conduct themselves. Work hard to ensure that they stay in good physical and mental condition. Naturally, this is one of the core skills for any Detective Constable. The clue being in the name – detective! Having an investigative mind means that you are someone who can think analytically about your work, deciding on factors such as investigation planning and how the investigative process will be carried out. Since you are a Detective Constable, this will form one of the key parts of your role, so it’s crucial that you can lead these initiatives. Furthermore, you’ll also be involved in improving the way that future investigations are conducted, through using self-evaluation and team evaluation to determine what worked well, and what didn’t. At all times, you will need to think logically but creatively, coming up with alternative solutions or methods where others have failed, whilst still maintaining the highest possible standards. Remember too, that you also need to be open to the views of your colleagues. Just because you are a Detective Constable, it doesn’t mean you have to come up with all of the ideas by yourself. You will find that the views and opinions of your colleagues are extremely useful, and could lead you to pursuing methods that work out well. Take an analytical approach to investigations. Take ownership of decisions relating to investigations. Play a significant role in the planning of investigations. Seek feedback and evaluate the strengths and weaknesses of different investigative approaches. Consult with colleagues to ask for advice, opinions and feedback. No matter what rank you are in the police service, you will always be learning from your experiences. It’s essential that Detective Constables can learn and grow from each and every investigation. Every single person, in every walk of life, makes mistakes. Whether these are major or minor, it’s important that you can learn from these mistakes and improve for the next time. Whilst your initial training will prepare you for the role, at the end of the day it can’t prepare you for every single eventuality, and therefore you need to be able to think on your feet and develop strategies for dealing with unexpected scenarios. This is not an easy role. Working as a Detective Constable will require you to give 100% of yourself every single day. If you aren’t learning from your experiences, then you will have a big problem, because improvement is a key part of doing this job successfully. Learning also applies to your attitude. In order to work for the police, you must be someone who can take a positive and enthusiastic approach towards learning. The police are looking for candidates who are eager to improve and better themselves. Not only should you be looking to learn from others, but you also must be able to take initiative for your own learning and improvement. Learn from their mistakes, and improve their practice for future investigations. Take initiative for their own learning and improvement. Demonstrate an enthusiastic and committed attitude towards learning. Seek feedback from others on their development. Accept that mistakes happen, not just to you but to others as well. I’m proud to say I worked for the Metropolitan Police Service for 30 years. During that long career, I performed several varied and interesting roles. One of these was in its recruitment branch. I worked there for several years as a recruiter and specialist trainer. As an expert in police assessment centres my main role was to write and deliver ‘Pre-Assessment Centre Workshops’ to certain candidates. The Met ran these courses for a simple but very good reason – those that attended had a significantly better chance of passing their ‘Day 1’ than those who didn’t. Since I left the Met I have developed and now deliver even better, longer and more detailed courses. WHY ATTEND OUR DETECTIVE CONSTABLE DIRECT ENTRY COURSE? The direct entry process is new and relatively unknown by most (there still isn’t much information online) but How2Become and its course trainer Dave Bebb are leaders in UK police recruitment training and we have a detailed understanding and insight to the direct entry process, and how to pass assessment centres. Additionally, we will only train you in a 1-2-1 environment. This means you’ll get to spend all of your time with just you and Dave, learning how to pass the process, what your strengths and weakness are and how you can improve your chances to pass and become a detective constable at your first attempt (which is especially important seeing how rare the positions become available!). What Competency Based Assessment is and what you MUST demonstrate at BOTH assessment centres and during your application form. Learn the structure of the DC assessment centre exercises with useful tips on all of them. Students, will also be able to practice in-tray and briefing exercises. You will also be told about the structure of the DC interview and receive great tips about how to approach it (including practice questions and how to create your own answers). Your day will conclude with additional useful information such as what to wear, what to take with you, etc. PLEASE NOTE: As this day is designed to be tailored to your needs, your day will inevitably unfold differently to another attendee. Before you attend we will ask you questions to ensure we provide the right training for you and identify the best way we can help your chances of success! Come on our course and increase your chances of passing your hard and demanding DC selection process! You will be given invaluable information, tips and your questions will be answered. You will have an opportunity to practice mock exercises and receive expert feedback and advice about them. You will also be able to assess your own strengths and weaknesses. If you use our expert’s tips it’s probable that your overall percentage score will be improved. This is vital as simply passing an assessment centre is often not enough, because police services often ‘top slice’ the best candidates. Our expert trainer is skilled, friendly and helpful. He has helped literally 100s of people like yourself pass police recruitment process. Let him help you to fulfil your ambition of becoming a detective constable by guiding you through the selection process! PLEASE NOTE: THIS COURSE IS INTENDED TO TAILORED TO YOU AND THEREFORE THE COURSE OUTLINE AND CONTENT WILL VARY DEPENDING ON WHAT TRAINING IS RIGHT FOR YOU. We run around 60 courses per year and have been helping 1000s of students like you pass for over 11 years. You’ll be taught by Dave Bebb, an expert in police recruitment training and in particular police assessment centres, whose main role was to write and deliver ‘Pre-Assessment Centre Workshops’ on behalf of the Metropolitan Police Service. As an aspiring detective constable, you probably know these positions don’t come around often and any gain you can get over other applicants is vital – with our training you will be provided with leading edge insights to the detective constable direct entry recruitment process. Attendees will be clear about what they have to do throughout the recruitment process. They will be taught tried and trusted ways to approach all stages. Our feedback for our police courses has been phenomenal, we have an average rating of 9.7/10 on TrustPilot. Haven’t applied yet? Need help with your application? Got your assessment centre coming up? Whatever stage you are at, we are happy to help and will accommodate to your needs. We can provide a full day’s training at our offices in Kings Hill, Kent or we can provide SKYPE or FACETIME sessions. The total cost of the course will depend on what training you are after, our standard day rate for training in person by David Bebb costs £447+vat. If you would like shorter training (perhaps you just want interview advice for instance) you can opt for our SKYPE or FACETIME service with Dave which costs £175+vat for a 1-2 hours. If you opt to attend the full day training, it will be held at: 80 Churchill Square Business Centre, Kings Hill, West Malling, Kent. ME19 4YU. IS THE COURSE WORTH THE COST? We absolutely think so. How2Become and trainer Dave Bebb have literally trained 100s of candidates through various police selection process. £447+vat might seem like a lot, but when you consider the valuable training and advice that will likely improve your chances of becoming a Detective Constable and earning upwards of £35,000-40,000 the cost of the course fee is a fantastic deal and opportunity for you. We also love to stay in touch with our course attendees and will offer support after you have attended the course where we can! We respond to all enquiries Mon-Fri during normal office hours. We look forward to helping you pass the DC: Direct Entry recruitment process soon!